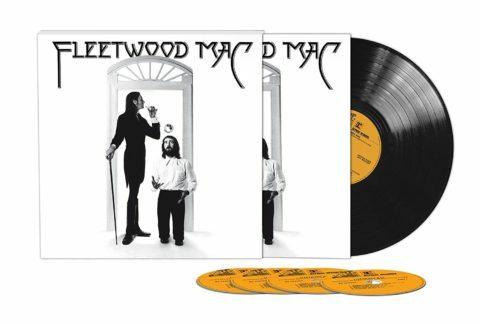 Fleetwood Mac‘s 1975 eponymous album (that features the current line-up) will be reissued as a five-disc super deluxe edition in January next year. The original album is newly remastered and features on CD and vinyl LP in the box set. The CD also includes the original single mixes of Over My Head, Rhiannon, Say You Love Me and Blue Letter. Like previous sets there’s plenty of unreleased outtakes and CD 2 in the super deluxe features a completely alternate version of the album (none of it ever released before), along with a handful of live tracks and a couple of jam/instrumentals. I am late in posting to this thread… I am just getting around to listening to all of these remasters of all the Fleetwood Mac reissues. (The most recent reissues). They sound great to me. The only recent Reissue I haven’t heard yet is the first album ‘Fleetwood Mac’, (Which I expect will sound as wonderful as the other reissues if remastered the same), I am really enjoying the sound quality. 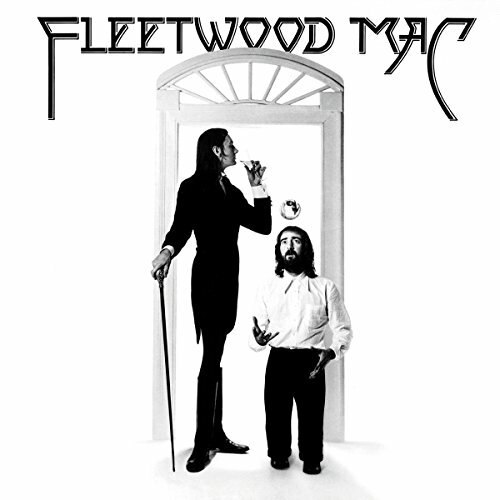 But I did a little experiment, and played some tracks side by side to compare sound quality… All these latest Fleetwood Mac remasters sound equality amazing to me, No complaint on the Fleetwood Mac reissues. But I will add, I had a listen to the recent Stevie Nicks Reissues up against the Fleetwood Mac Reissues and wow! The Stevie Nicks reissues sound awful. Just awful. ‘Bella Donna’ and ‘The Wild Heart’ are some of my favorite albums, and I was amazed at how wonderful the recent Fleetwood Mac reissues sound… ‘Rumours’, ‘Tusk’, ‘Mirage’ and ‘Tango In The Night’ all sound fantastic to me. But listening to them up against the Stevie Nicks remasters, I am so disappointed. I hope Stevie scraps any future remasters/reissues of the rest of her albums and instead starts all over again. Because they do indeed sound that bad. To me anyways. These FM deluxe limited editions are great value, no complaints. It would be nice to have the full-fat hi-res of this, but what they have released is really good. The 5.1 is an excellent mix, better even than Rumours IMO (which I also love), and the toms in Monday Morning and So Afraid, are really good, in all four corners, filling the room. It adds so much to the stereo original, and I am now discovering some subtleties that I now realise were in the original mix, but hard to hear. The mix is also different, but close enough to the original to not annoy, and the extra “space” is fantastic. I now need to listen to the hi-res stereo version and see how that compares. I’d be interested to hear from someone with a decent vinyl system to hear their thoughts on the new mix/pressing. Confirming above: 2018 Warner Bros. re-release of “FM ‘75 (White Album)” is DD5.1 ‘24bit’/48khz @448kbps — ONLY! Although my ‘system’ can make ANYTHING sound ‘good,’ please friends, be aware that the ‘bottom-end’ of this long-awaited “FM’75” 5.1 disc is DVD-V ‘12/1-compressed-Dolby-Digitial-5.1-MUDDY’ and requires A LOT of attention to avoid distortion at VOLUME — and as of this weekend, I can confirm distortion at volume! dross as the only 5.1 audio option —DD, a MOVIE-specific, audio codec according to Dolby themselves. FTR, Dolby refer users to their Meridian lossless codec for DVD MUSIC and Dolby TrueHd for Blu-ray Music on their own website! Matthew L – which parts of the 5.1 mix do you hear distortion? I have listened to it once or twice at the usual volume (very loud ;) ), and didn’t hear anything, and my system is quite revealing and I can comfortably make it go loud enough to be unbearable without distortion, usually! Let me know and I’ll have another listen (and have a look in Audacity). Sorry for the off-topic post (nothing much to add to this specific discussion other than, I ordered this for the usual reason, for the hi-res/multichannel part only, really). I love this album, about as much as I love Rumours, so am pleased the 5.1 is finally coming (though I will not be impressed if the 5.1 part isn’t also in hi-res (it doesn’t actually say that it is, it only confirms that the stereo version on the DVD is in hi-res – fingers crossed!)). The off-topic part – question, as there is a lot of good ‘Mac knowledge on here – I am fairly certain I remember there being a VHS copy of the Live in ’80 concert – does anybody remember that? I have been looking for years and it seems there isn’t likely to be a DVD/BluRay release of this, even though I think it was one of the best live recordings of the “Rumours era” that they put out IMO! Any thoughts on that one, anybody? Yes your right it was The Fleetwood Mac Documentary and Live Concert, it was released in 1980 by Warner Bros on VHS. It shows behind the scenes look at the recording sessions for the Tusk Album and highlights from a 1979 concert from the St Louis CheckerDome. It has never been released on DVD but I have a DVD copy ripped from the Japanese Lazerdisc release. Hope this helps. Hey Ray, i’d like to get a copy from you of that dvd. If you can call me up, my name is Jay. Thanks !!! Seems hard to find the dates for the live recordings. I know there were some radio shows at the time. Does anyone have any information? Is this Fleetwood Mac album gonna be available as a 3 cd set (like what they did with Rumours and Tusk) ? Well I doubt anyone’s surprised by this release or the structure of album remaster/2nd disc of outtakes/3rd disc of live material. After FM did the exact same reissue for their other albums, this was one was inevitable (except for Tango which did not come with a live disc…presumably because Lindsey wasn’t on that tour, right? of course that’s the one tour I’d love to have, if only because they obviously didn’t do much of his material as opposed to the usual Lindsey takeover of FM’s live shows). Think we’ll see a big reissue of Say You Will? The accompanied “Live In Boston” album from that tour would be great on vinyl (still holding my breath for a vinyl issue of “The Dance”). As much as I’m obsessed with FM and their incredible live shows and will gladly fork over whatever is asked of me for any material, they’re starting to stray into Rolling Stones territory by releasing the SAME SONGS over and over again. Ditto for their current live shows. I’m pretty much going to buy this new set just for the live versions of Why and Blue Letter and Over My Head. Seriously, how many live versions of Rhiannon and Landslide are out there? 28? As many as Brown Sugar and Jumpin Jack Flash. I was pumped when the Stones last year announced a reissue of their Stripped live album from the mid-90s, since it contained all lesser-known and lesser-performed songs….and of course they had to swap out all those songs for Miss You and Street Fighting Man and snooooooze. That said….I do love how the FM demo/outtake discs have actual different versions of their songs. You can really hear the evolution from demo to finished. Led Zeppelin’s “working versions” on their reissued albums? All just instrumentals or the exact same finished version but with like 2 different notes or a slightly shorter guitar solo. Great to hear about this. I kept putting off the 2 disc expanded edition and it was a good thing too. Next I would like to see if they would do a Super Deluxe of Behind the Mask or Bare Trees. Behind the Mask would be very interesting since it was about the time of the break up. Looking forward to Stevie to complete her Super Deluxe sets. Ordered the UK version…can’t believe the deal. Long time FM & SN fan here and I’ve been pondering what could be next in the reissue game. The Dance seems like a good option but the 20 year anniversary is almost up. I would love to know what quality of HD (at the time) was used on the taping. As to sound, a reissue of the full tracks from the Dance would be cool…perhaps with any sonic tweaking needed (although it seemed so well produced). Are the demos of the new songs? Rehearsal songs that didn’t make it into the lineup? And then where? FM Live from 1980 (would lover better sound but is it practical?) Perhaps a FM From the Vaults collection of bits and pieces like “Fireflies,” “One More Night,” “Make Me a Mask,” etc. Stevie’s Rock A Little and Other Side of the Mirror would be nice. Somebody was kind enough to send me the 80 Reprise CD some years back and it sounds great. I’m interested in this set and also how the remastered album sounds. On the Big Pink Buckingham/Nicks CD, all songs have a hard cutoff at 15kHz, it’s a mp3-sourced bootleg. Surprised by the omission of Silver Springs from the Rumours sessions. One of Stevie’s most intense & unrestrained vocal out pourings, which is saying something. The song was the B-side of “Go Your Own Way” in 1976. The Lindsay Buckingham song to which it is regarded as being the response. Stevie Nicks is perhaps one of the greatest vocalists of a generation, Steve. Notwithstanding, Rumours stays with Rumours. Paul, I commend your position as CEO of SDE! These expanded editions are great but lack consistancy as already mentioned by other contributors. For those of us who no longer have vinyl, why should I buy a package with 23 LP’s when they will never ever get played until I’m 6ft under? Surely all the packages should simply offer the orininal cd plus any demos, outtakes etc, perhaps a live cd or 2 and all remastered plus a Bluray and a 5.1 option for those with surround as well as the extra package with the vinyl. Jethro Tull have managed to produce some excellent remasters with Steven wilson naturally, but they also are housed in a sumptuous book size package with 90 odd pages of notes etc which all add to the value of the packages and moreover all for under £20! Nevertheless, no doubt I’ll end up buying this latest deluxe edition as I have all the others, despite the vinyl never exiting from their sleeves! Agree with Musicmacca about the Eagles – their Hotel California package is now £84.99 for 3 discs including Bluray – what a rip off and even the 2cd version is £18.81 – another rip off and far too expensive! Haven’t the band members & record company got enough money? Why do they feel the need to rip off the public again? There’s nothing like a good old rant on a Friday! That news is VERY dismaying, Larry. I’m really having trouble believing that “The Long Run” multi-tracks are missing or can’t be salvaged. I’ve been waiting for years for that album to be remixed into discrete surround. I have trouble even believing their earlier lp multi-tracks from ‘71 through ‘75, or even the tapes culled together for their “Greatest Hits ‘71-‘75” (holdover) lp, a best seller (released in the interim before “Hotel Cali” was released), are missing or “corrupted.” Shame, really. Maybe they’ll think to put out a hires-surround disc of the “Hell Freezes Over” dts-cd. As I remember, that is more of an actual 5.1, rather than a quad point one, which is what Scheiner came to favor with notable, song-specific exceptions. Couldn’t agree more, Somerset. The Tull cd/dvd or Marillion cd/br packages are “it” and should be the standard at this point with optional 180+ gram vinyl offerings for the long player enthusiast. I have original vinyl (somewhere) from the 70s upto mid-80s and vinyl from some of these boxsets, but only b/c it came with the 5.1 offering — darn near making me feel extorted by record execs who “buried the lead” (the surround material). Imho, many of these expensive and often redundant box-sets offer nothing new (except those extras targeted at the “completists”) save for an occasional stereo remix, RM and the “5.1” of course. I agree we shouldn’t have to buy all this “unusable” stuff in order to get at the surround-sound material, while also agreeing that these box-sets may actually be the perfect offering for some, but not all — not most, it seems from years of SDE posts. Shame, really. Rush for example will eventually release this ‘Wilson-mixed,’ 5.1 as a stand-alone BR disc based on their catalogue, re-release history — same same Alan Parsons, however, Fleetwood Mac and certain Pink Floyd box-sets with surround material (“Div Bell” 5.1 & the discovered, buried, ‘ripped’ 5.1 files of “Meddle”), for example, finding their way onto stand-alone hires discs is probably not happening — definitely not soon. That said, A.P. has announced an eventual “Eye…” BR stand-alone, and I don’t want to wait a couple years for the current ‘SW-mixed,’ “AFtK” Rush 5.1. I feel if a music enthusiast, who understood the market was calling the shots, these offerings could be easily tailored and optimized for fans and profit. Still to this day, when I mention Blu-ray Music in most circles, here in L.A. (even when down on ‘Sunset’ hitting the famous, music clubs or at the Hollywood Bowl or by Capital Records where the R.E.M. Atmos mix for “Automatic…” was conceived after the mixers listened to a “Sgt Peppers” Atmos mix *as yet, unreleased* in a L.A. Dolby Cinema that was Atmos optimized), I get quizzical looks — as in, “que” or “que es esto, Chico ?” Pity. Currently, we really are the keepers of the surround-sound flame. So, needs must, yeah? Amazon U.K. (Pre-order) lists this item at a ~43% discount over Amazon, USA (Pre-order). Really? Is that a misprint? What gives? Anyone have a “heads-up” (any news) on this a day later? There is no misprint. They are the prices. Amazon.com regularly has much better pricing than the UK (especially on vinyl) so nice when it works the other way around, occasionally. Paul, I hear ya. I thought Amazon US and Amazon UK were always within 10% of one-another. Tells you how much, I really don’t follow this as closely as some of you; although like most, I do shop around — mostly Japanese and U.S. music sites, though, admittedly. This recent disparity, really caught me eye. Finally, the illusive Ken Callait 5.1 surround mix for FM ‘75 will be released to the public. Given SDE’s status, Paul, it may have been appropriate to mention the points (above) made by Derek and Philip; as these boxsets, as describe and mentioned in your article, really aren’t ALL the same with the omition of surround in the “Tango” and “Rumours” boxsets (“Rumours” 5.1 was readily available). I feel pointing this out with sympathy for the surround presentation via physical media (given SDE’s broad and influential audience), may have not only stated the obvious, but alerted or even reminded the myopic (still calling shots at these record companies), to the fact that surround-sound is wanted and many times expected in expensive – sometimes VERY expensive boxsets. Cheers, Paul. btw: somebody knows the difference between the “blue letter” album and single remix version? I can’t hear any difference! Yes, Lindsey’s guitar is brought more forward. The mix amped up the solo riffs. The album that comes closest to Rumours in quality if you ask me. Already ordered. on disc one there’s an asterix behind “blue letter” (single remix) to indicate it was never released, but this version was already released on the 2004 remaster! Looking forward to this. My only copy is a late 80s CD – and I don’t know where it is! I’m happy to get vinyl and surround, but that’s been the one inconsistency in these reissues: Rumours had the documentary but no surround, Tusk had the surround but no documentary. The books are never in-depth, but with a group with all the politics of FM, it’s surprising that anything gets past committee. Also I’ll be looking forward to the vinyl Alternative Fleetwood Mac on Record Store Day. The Rumours box is still for sale for £36, but the Tusk box has become hard to get. Anyone know why? Maybe Paul Sinclair can talk to someone about getting the Tusk documentary on DVD. We’ve waited way too long. I agree regarding Tusk. I got the Rumours SDE for £17.49 + P&P when it was that low (as I type it is still only £25.27 on Amazon UK). I’ve managed to pick up the Tango SDE (£29.16 + P&P) and Mirage SDE (for the equivalent of £46 including shipping), but I’ve been looking for the Tusk SDE for a while now, but can’t seem to find it for much less than £75 (and strangely no VAT reduction [I’m in NZ]), which (considering I have the original vinyl album) seems too much. And I feel it is the least popular of this line-up’s albums, so colour me perplexed. Now I just have to wait for a deal on the new SDE! I only wish the Eagles would release their back catalogue the way FM are doing. Yes Hotel California is on the way but there’s plenty of Quad versions of other Eagles Albums that could be bundled in the same way. Do we know if the DVD is region free. I ordered from the UK too! All the others were, so it will be. I’ve ordered every one of these from overseas and have never had a DVD region issue. I doubt they’d change anything in the future. Go to amazon.co.uk RIGHT NOW. This set is priced at nearly HALF as much as the U.S. site. Go look! Why is disc 2 almost all instrumentals? 39 Pounds to the States. (postage included). A no-brainer. My 5th buy since 1975. Sold an original, replaced by a Kendun. 34 days ago, I bought the Bellman 45rpm, plus there’s my 1986 Reprise CD. Great never owned this apart from a CD rip so looking forward to this one and just now need to find an SDE of Tusk from somewhere…. Well, here’s another wasted opportunity to have included a live concert film along with the box set which in this case could’ve been live concert footage from the 1975/76 Tour to support this line-up’s debut album. Who cares about the DVD Audio for those few that may want it. Live footage would’ve been much better and any promo films, too. I would ask again why bonus features are not in 5.1 but I assume that is for when the blu-ray audio gets a larger acceptance, eh? Looks brilliant – thanks Paul. Have ordered – nice birthday present to myself. I wonder what they’ll do next? Great news! Pretty sure if there’s a 5.1 mix, Buckingham is hands-on involved. That live album will be a stunner! The Buckingham/Nicks album got a cd release in Japan earlier this year on the BigPink label. Nice gatefold mini lp packaging with lots of bonus tracks. Not sure how legit it is but it sounds absolutely fine. Not very, is the answer, I think! I’ll back Paul up on this–I looked into it, and anything I could find in the way of information about it was that it’s not an official release. I haven’t personally heard it, so I can’t vouch for quality of the recording, but I know some people want nothing to do with an unofficial version, no matter what. If the sound quality is good, I’d track it down though. I’ve always wanted to have a decent copy of it. I have it and it is a bootleg. They may be a label with a catalogue but they don’t have the rights to release that album, therefore it’s unauthorised and a bootleg. Cue a thousand complaints about vinyl inclusivity. You know what I have no time or need for? DVD audio or Blu-Ray. I’ll buy the two-disc version like I’ve done with every other Mac reissue in this series. no word on further Stevie Nicks reissues after Belladonna and Wild heart? I REALLY want a reissue for The Other Side of the Mirror, especially. I hope they aren’t going to forget about the rest of her catalogue. Were there any contemporary mixes for “Stand Back” at the time? The one thing that bothered me with the reissues that came out is there weren’t any extended mixes, though it seems like they came out in an era when at least SOME of the songs would have gotten an extended version. Were there just no period mixes to put on them, or is this like so many of the other reissues where the artists doesn’t consider the mixes worth releasing? I don’t mind th vinyl as long as this isn’t as outrageouslyriced as other sets that have been released in the past. I think that if U.S. Pricing is mimicked for Amazon. It is reasonable but $99 is too much. Wayne, but it from Amazon UK. Only 39 pounds delivered to the States. Very nice set, as I don’t have any version of this album in my collection. Will wait for it to come down £10 or so on Amazon UK (<£35). All the FM sets have done so and I have snapped them up – recently got the Tango set for £32.24 including shipping to the USA :-). Wait, can we get a correct listing of the discs and the tracks, with the LP shown separately? I’m confused re: the six discs. This varies, site to site. Thanks. Any word on the region code for the DVD? Preferably region-free…. Another surround mix I’d like to get, but won’t…can’t buy an entire box-set…these surround mixes ought to be released independently on Blu-Ray Audio. I agree that it would be great if they would release the surround mixes independently, but I think the issue is that there isn’t a huge market for them, so the only way to do them with some guarantee of return is to “bundle” them with these SDE’s. I’m sure there are plenty of people who will spring for the box for the other content who wouldn’t buy the surround mix separately. Whereas many of us who are really excited about the surround mix may be willing to double-dip (or triple-dip) in order to get the surround version. Marketing decisions strike again. I think it’s about using it as bait to get people to buy this just as the new vinyl version included is as well for those who didn’t get the previous vinyl remaster. I still find these sets a bit odd–high Rez 5.1 release with two discs at lower Rez CD (that isn’t included on the DVD when they could easily be accompanied even if they aren’t in 5.1), CDs for those who love those and then a vinyl single disc release that is probably just the digital remaster put into analog form. A little bit of this and a little bit of that to get as many people as possible to buy this is a smart marketing move I suppose but I could do without some things here and that would certainly make me happier. If the deluxe Mirage or Tango had had a 5.1 mix on DVD or Blu, I would have been there as well but it’s clear that Warner don’t want to spend the additional time or money to do this. Nice. And some Bob Welch songs on the live disc, very good. I have the previous reissue with Jam2. Think I shall pre-order!! And Danny Kirwan too. Great set. Playing the last cd reissue now. This set can go next to my Rumours box. Lovely. The only downside is that, when I was dreaming of this boxset being released, it included the never-officially-releasead-on CD Buckingham-Nicks album. I know it’s not an FM album, but it features the original version of Crystal, plus Don’t Let Me Down Again which became part of FM’s live sets, so it would kind of make sense. Oh well… still extremely happy about this! Amazon UK £39.66/$52.19 including shipping to the USA. Cheers for the heads up Paul, order placed! Excellent news and at this price as Schu says can live with the mixed format. Had hoped the Buckingham Nicks album might be bundled with it but hey. Warners don’t own the rights..Polydor (If they still exist) do…. Mark, thanks for that, I didn’t know. Its just that last year I am sure it was rumoured that Lindsey Buckingham had worked on the Buckingham Nicks album so I assumed it might be part of the FMac album SDE which I guessed would inevitably appear following the others. I believe that Buckingham and Nicks own the rights to their album now. Hence, the frustration with it not coming out. Nicks has been the main hold as I recall. Well, I guess this is as good as any reason to go out on tour in 2018. A few questions must be asked. First, did some of the original team work on the remaster or 5.1? Why wasn’t any of this new (unreleased) material apart of the last round of reissues (only the single mixes made that single disc reissue)? A few things I can predict – 1) The release will be delayed into later in the spring 2) The liner notes won’t really reveal anything about the original sessions we haven’t heard before – just the band members view of the album now. 3) Booklet? 8-12 pages max. Lots of big pictures. 4) The “alternate album” will be it’s own vinyl for RSD 2018. OK, I’ve ordered it anyway as the price is really good. if a CD only version comes out I’ll cancel and swap. The US Amazon listing also cites a single-disc remaster and 2CD expanded edition “newly remastered sound expanded with rare and unreleased studio and live recordings” as part of the reissue campaign. The two-CD is discs one and two from the five-disc (I did mention this in the post). Don’t think there is a listing up for this yet, though. I knew it! Not more than a few weeks after buying the earlier “deluxe” version, they release a true deluxe version. Oh well… like the other deluxe albums they’ve released recently, this one also looks worth it. Pre-order complete. Pre-order price at Amazon UK at checkout was £36.58 (plus £3.08 shipping to US) a moment ago, thanks for the heads up on this. I don’t have much of a problem with mixed format (other than space considerations) if they price them this reasonably. Disc 3 has a great lineup of live songs. That’ll be fun to listen to. Heck, it all looks good! CD1 tracklist identical with 2004 remaster? Not quite – Jam #2 moves to the second disc. Thanks for the Amazon UK heads up, Paul! Great price. Delighted to see this one finally getting the super deluxe treatment. The pricing on these Fleetwood Mac sets have generally been excellent. Nice. And ordered at UK. Great news, though it makes the absence of a 5.1 mix in the Tango in the Night SDE a little more frustrating. BTW check the listing for the DVD – Monday Morning is listed as tracks 1-3. Clearly an early Amazon UK “typo” – they have it listed with six discs too! I didn’t understand the absence of a 5.1 mix on Tango as well (it doesn’t exist in the vaults, but should have been done), but what I understand even less is the absence of a 5.1 mix on the Rumours set as it exists and is out of print. Couldn’t agree more. I’ve been very happy with these releases – the Mirage 5.1 is a real standout – but with the “White Fleetwood Mac album” now getting a surround mix, the already hugely disappointing absence of a 5.1 for Tango in the Night is further accentuated. The surround mixes of “Tusk”, “Mirage” & “Fleetwood Mac” were created 15 years ago, but sat on the shelf when Warner Music abandoned the DVD-Audio format. The recent boxed sets enable Warner Music to make use of these mixes that they paid for many years ago. But it is apparent that Warners doesn’t want to spend money on more surround mixes, hence no surround mix for “Tango In The Night”….or any other Fleetwood Mac album. Hi, the Mirage 5.1 mix was actually done just before the release of the Mirage box set as announced by Ken Caillat on twitter. Yes, I, too, saw that tweet from Ken Callait. It certainly explains the ‘fresh feel’ to the surround mix which to me seems to include more surround-panning than present on other FM 5.1’s. Nice little gem of a mix. +1. So, I’m not letting up on my issue with the substandard audio codec used on the “FM ‘75” 5.1 DVD-V release. Apparently, since this 5.1 mix was meant for DVD-Audio, DD5.1 was the ALL DVD secondary audio codec at that time (DTS 24/96 was not available until ~2004 or so) and Warner Music just DUMPED this secondary audio codec on us (the ALL DVD layer). I’ve contacted (the newly appointed) Max Lousada (at WB) and asked him to ‘correct’ this ‘oversight.’ I asked him to offer a ‘corrected’ DTS 24/96 mastered disc consistent with the excellent “Mirage” 5.1 DVD-V release or do us right and send out the original DVD-A as a show of goodwill. His actions or not, going forward from 15 mins ago, will tell us if this was an oversight or another Warner Music cash grab! p.s. Paul, apparently I can’t spell my name correctly (above). Can you – will you fix for me, please. Tx.